How did I celebrate my birthday a few days ago? Well, I opted for a royal and relaxing facial treatment! Then an ice cream treat afterwards because who would not love that? 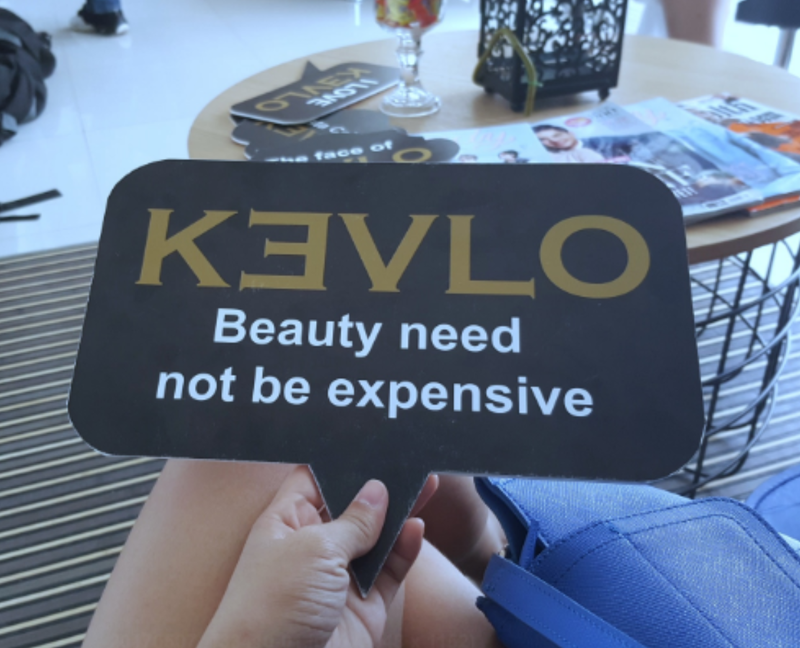 Together with some friends, my instagram buddy Rady invited me for a skin day out at Kevlo Skin Clinic on that special day of mine, my birthday. I heard great things about their products online, so I was very keen to try it for myself. And I was in no way disappointed. In fact, my expectations were met. And nope, he didn't know it was my birthday because I had these feelings he would post those awkwardly stolen pictures on my timeline and I just didn't want that to happen. Hahaha sorry Rady! We went to Panagdait branch. The clinic is new and has a very good ambiance which is perfect for instagram post if you'd like to. Their staff is super friendly. In fact one of them braided my hair and it was just so classy! Before going on with the procedure, we had a chitchat with the owners of the skin clinic - Mr. Mark Phillip Geniston and his daughter Lovely Geniston. They narrated how they come up with the business and what were their products and services. They started as a distributor of skin care products in 2007 and now working on opening clinic branches in the city. They also educated us about the five ways on how to care for our skin: Cleanse, Tone, Moisturize, Protect and Exfoliate. 1. Cleanse – Eliminate sweat and dusts on the skin by cleansing it with soap or any of your favorite cleansers. Remember to always be gentle on your skin. 2. Tone – For the face, close those pores by using a toner solution that is best for you. 3. Moisturize – Cleansing and toning processes eliminates the essential oils on the skin. Restore those and maintain skin's elasticity by applying moisturizer. 4. Protect - UVA/UVB rays are the worst enemies of our skin that leads to aging and wrinkles. Block the harmful rays from entering inside by protecting your skin with sunblock. You will thank it forever. 5. Exfoliate – Human beings are shedding dead skin everyday. Make sure to exfoliate at least thrice a week to totally get rid of those which most of the times causes skin allergies and acne. I had my Kevlo Signature Facial after then. It took almost an hour. Mind you, it was one of my fastest one hour ever. Maybe because I just didn’t want the facial treatment process to finish just yet. I wished time stopped that moment because it was so relaxing and I really felt I was pampered very well. The therapist who handled me was very polite and friendly. Her very soft hands go very well. We talked a lot of things that ranges from relationships, beauty and life in general. Based on my experience, I can guarantee that their services exceed its equivalent payment. After all, they aim nothing less for the skin of their clients but all the best, glow and fairness. That is their mission and it is very soothing in the ears. They entrust our skin to their well-trained staff. Here are the services they offered. Their services are affordable as you can see. A tip for you, visit them on a Monday and avail a 100 peso off on any of their services. Wink! Get the glow with Kevlo. For more information and inquiry, visit them on Facebook and Instagram or call/dial the numbers stated above. Basta Cebu, KEVLO! 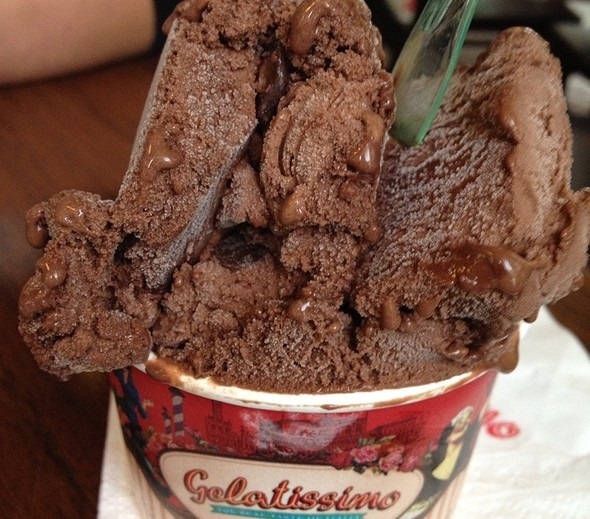 Oh by the way, here is my ice cream. Love, love!